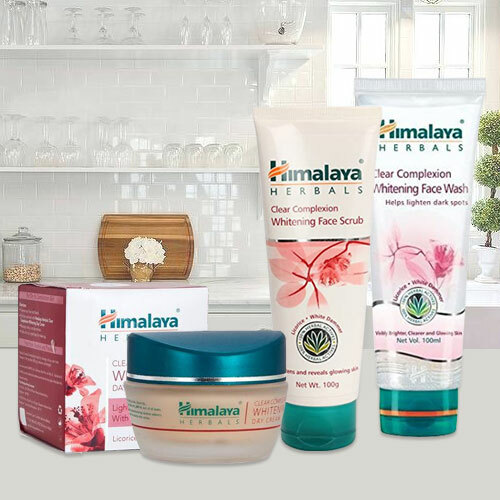 Send your lovely wishes by gifting this Delicate Gift of Complexion Care Combo Hamper from Himalaya to your dear ones. This fantastically designed Gift Hamper is laden with Clear Whitening Face Scrub 100 Gr., Clear Whitening Face Wash 50 ml. and Clear Whitening Day Cream 100 ml.